The UK is publishing contingency plans for a no-deal EU exit. Its unspoken parachute, however, is Britain’s vast pile of overseas assets, which cushion a sterling crash and calm solvency fears. The bad news is that the impact on the City of London could erode that defence. 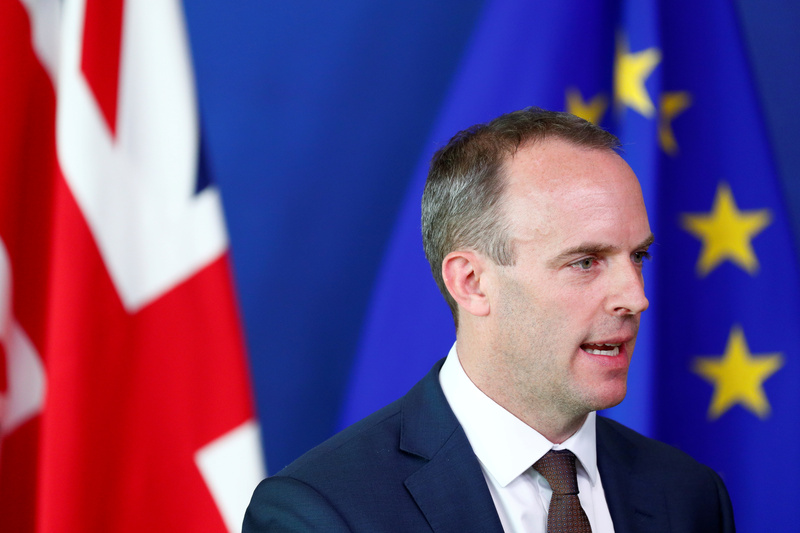 Britain's Secretary of State for Exiting the European Union, Dominic Raab attends a media briefing with European Union's chief Brexit negotiator, Michel Barnier, after a meeting at the EU Commission headquarters in Brussels, Belgium August 21, 2018. The UK was due on Aug. 23 to publish a series of technical notes outlining the consequences of leaving the European Union without a deal.